Condition: Excellent, tight binding, clean pages, slightly worn dj but not torn. Includes index, appendix of names; 664 pages. First printing. 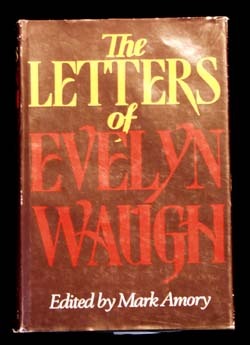 A selection of correspondence and letters from Evelyn Waugh to some of the foremost artists and politicians of his day, as well as more intimate missives to friends and family, including many references to Ian Fleming.